The Russians invited Aggeliki to Moscow and the Japanese came to Athens for Tunnel. Watch the specific videos in collaboration with the Italians,Dutche,Danish,Russians and Albanians. The TV show cooperates with three countries- Russia, Italy, and the Netherlands. The goal is to find missing Greeks at their countries and their missing citizens in Greece. 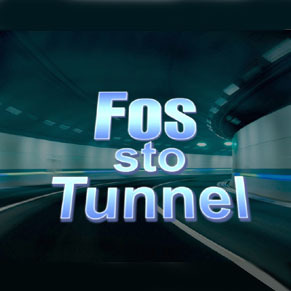 Watch the cooperation of ‘Tunnel’ with foreign TV shows. The national Japanese television has made a tribute to ‘Tunnel’. The TV show was distinguished among 40 countries, according to a research. 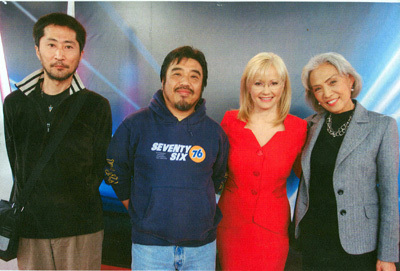 The Japanese traveled to Athens so as to take an interview from the presenter and also see step-by-step the research of ‘Tunnel’ that 15 million Japanese viewers watched. The national Russian television invited the journalist to Moscow so as to help at the reunion of two brothers, a Greek woman and a Russian man. The Italians from ‘Chi l’ha visto’ of ‘RAI TRE’ came to Athens to watch closely the research and the presentation of the TV show by Angeliki Nikolouli. So did the journalists from Holland from the TV shows ‘SPOORLOOS’ and ‘VERMIST’.